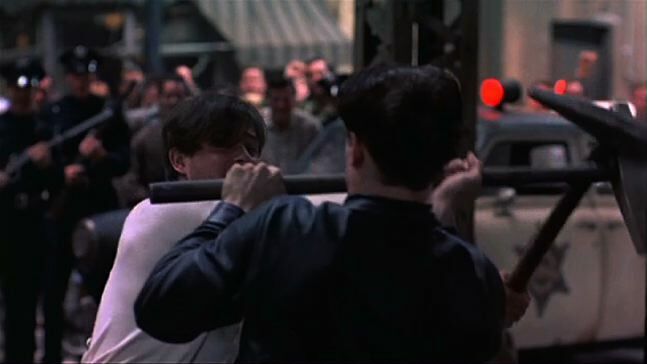 Since we’re looking at the idea of myth and legend this time around in ds106, I watched Walter Hill’s 1984 commercial flop Streets of Fire. The subtitle, “A Rock n Roll Fable,” is what caught my attention. It’s your typical psycho biker kidnaps rock star and her drifter ex saves the day story, which I guess isn’t that typical but has common elements with many a Western. One of the things that struck me in watching it is how it feels out of time and out of place. The music is very much 80s – the closing number was an MTV hit back then – but the cars are before my time, 50s I suppose. A couple of characters are back from the war, but we don’t know which war. The place is urban and gritty, with scenes that look like NYC and scenes that look like Chicago, but it’s never named. Places are only addressed by neighborhood names – the Battery, the Richmond – as if it could be any decaying big city. It all works because it’s all very intentional, by design and in the design. As screenwriter Larry Gross said, “It’s not New York. It’s not Chicago.” It’s not the 80s. It’s not the 50s. It is its own mythical time and place. 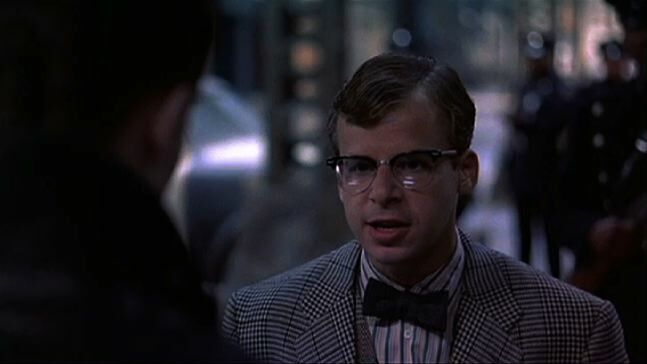 The cinematography and design create a heightened sense of reality, so it makes sense that motorcycles would explode when shot, that people would have a duel with sledgehammers, and that Bill Paxton’s hair would stand taller than Rick Moranis’s. It’s a fable with the archetypal hero, villain, and damsel in distress. The movie serves as a good example of what can be done with myth and legend. You’re only limited by your imagination. 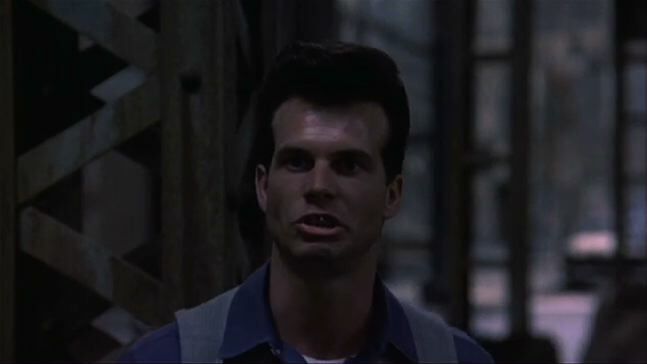 Rick Moranis did a bunch of movies in the 80s, but for some reason I always associate him with The Wild Life, where he had a hairdo similar to Bill Paxton in the picture above. My GIFfing process comes from the ds106 Handbook, although I use Photoshop rather than the GIMP, which saves some steps. There are simpler tools for capturing clips, but this method gives more options for manipulation. Not that I exercised them much here. 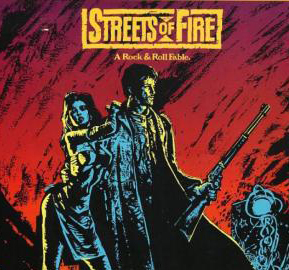 This entry was posted in Uncategorized and tagged ds106, streets of fire. Bookmark the permalink.